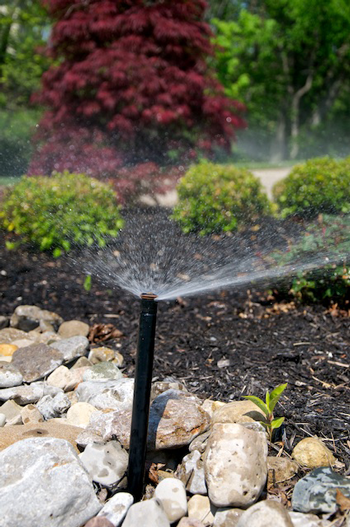 It’s summer, it’s hot, and your sprinkler system needs a summer check-up! Changing the programming on the controller to account for hotter weather and rain expectations. Checking for broken or ill-adjusted sprinkler heads. Lawn mowers and children playing in the yard may have placed some sprinkler heads a little “off-kilter,” and it’s important to inspect and adjust their placement. Ensuring the sprinkler system is conserving water and optimally delivering water where your lawn and garden need it. Call us to make a convenient appointment, and we will keep your sprinkler system working great for the rest of the season.